I don’t want to lose my house. 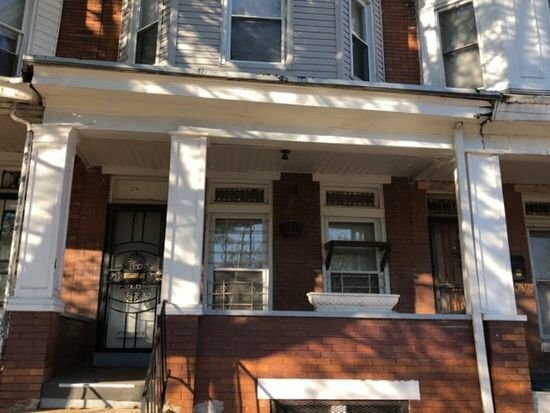 I’m behind on a few payments, can I keep my Baltimore property? I Own A Home In Baltimore, Maryland And Owe On My Home Loan, But I Want To Get Rid Of It! Sell A “Plain Jane” House in Baltimore, Maryland Quickly! Missed several house loan payments? Surprisingly… you can stop foreclosure in Baltimore even with quite a few missed house payments. Hell on Earth. We hear stories all the time about the sense of forthcoming disaster that swallows homeowners when they fail to pay several property payments in a city like Baltimore that’s known for auctioning people’s homes away. Besides making the most recent payment, then you have to worry about playing catch-up on the house loan payments you have missed and the fees… It can be complicated. If you are in Baltimore, Maryland and behind on a few mortgage payments, there are a few things you can do to avoid foreclosure. So many Baltimore properties have been lost via foreclosure, but there are several ways to avoid it. No one really wants to file for bankruptcy. Debts piling up. You feel like you’re being crushed. Bankruptcy would allow you to lift that burden all at once versus having to negotiate with each lender individually. It will not make your home loan disappear, but it will put you on a path to eventually walk away. You won’t come out unscathed, but you will survive. Your mortgage lender may handle the process completely different than someone else’s creditor. So there’s no way Glymph Properties could provide anyone with the exact process. You’d benefit from serious professional help, the best you can afford. This could be a great way to keep the “hounds at bay”, but this could come with unforeseen issues. If you reaffirm your commitment to make your house loan payments, you have to make your payments. If your Baltimore, Maryland property is auctioned off, an affirmation could cause extra responsibilities. You might be able to participate in the MHA program if your mortgage qualifies. Any loans backed by Fannie Mae or Freddie Mac must be considered for MHA, and other lenders can choose to participate in MHA or not. With MHA, your mortgage loan payments and/or interest rates might be lowered even the principal balance (if your property is worth less than you owe). You might be able to get your payments suspended or reduced if you are unemployed. Like with anything having to deal with the government MHA is a government program so there’s a ton of paperwork. It is not free money, you gotta work for it. Call your lender. You’ll learn that nearly all of them have some sort of assistance for this very issue. You have to work hard at it, but you might be able to get your interest rate reduced or a temporary reduction in your house loan payment. If there is even the slightest chance that lenders can make money from your situation they may steer you towards refinancing. If you can afford it, and all you are looking for is a brief reprieve from mortgage loan payments then this could work. But… just be aware that ordinarily by the time that you’re several payments behind you won’t qualify for a lower interest rate which is where the long term mortgage savings are. You have to work diligently to negotiate with a bank. You have to have enough patience to watch concrete dry to get through all the bureaucracy. Do not sink your own ship by being rude. Ask for help from everyone you speak with, but do not sound frantic. Explain your situation, offer supporting documents, and reassure the lender that you want to live in your house for the long term. If there is no way “on heaven or earth” you could be forced to leave your house, then take solace in the fact that most lenders can be understanding. Playing catch up. Basically, if you have only missed a handful of payments, sometimes your loan company will just tally your missed payments back onto your balance. It is all about the dollars and cents with your lender. Ask them for their assistance so that you can get them what you owe. They won’t need to be reminded that they’ll end up doubling the money they lent you.. If they have to sell your home at a foreclosure auction, they will end up taking a huge loss. If a banker can say no to someone like you who needs their help, then obviously they’ve forgotten how their industry turns a profit and just need a little help remembering. Glymph Properties will buy your Maryland property if you are behind on your payments, and need to sell your Baltimore house. Depending on your situation, if you’d like we may even be able to help you stay in your Baltimore property. Glymph Properties work with Baltimore, Maryland homeowners to find solutions to prevent pre-foreclosure. We will let you know how we can help. If you need to get rid of a house near Baltimore, Maryland, we can help you. We buy homes in Baltimore like yours fast. Give Glymph Properties a call anytime 888-509-6267 Ext 4 or head over to our website now- www.GPBuyshomes.com! Glymph Properties is delighted to help you discover answers to your hardest questions about selling a home extremely easily in Baltimore, so please feel free to get in touch with us at 888-509-6267 Ext 4 and chat with us whenever. Visit our website -See how we buy properties fast! We are interested in purchasing houses in: 21201, 21202, 21205, 21206, 21210, 21211, 21212, 21213, 21214, 21215, 21216, 21217, 21218, 21223, 21224, 21226, 21229, 21230, 21231, 21239. Take a look at our rent-to-own blog! Behind On My Payments… Is There A Way To Sell My Kansas City Property?